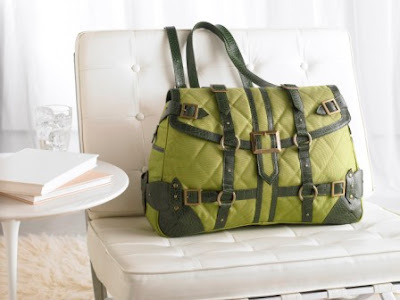 I am all for showing my appreciation to my blog readers and supporters so I wanted to share with you this great opportunity to win an elegant 7 interior handbag (pictured here) for your friend, wife, mother, or grandmother. Natural Health Adviser and fabulous Soul Purpose Consultant Shareefah Muhammad is our official blog sponsor of the month. With any minimum $30 purchase from her website, you can possibly win this handbag--but more importantly these products can enhance your personal health and wellness. Soul Purpose is one of the most up and coming businesses launched by Nadine Thompson. They made their first million dollars in less than a year since launching in 2008. The deadline to enter this giveaway is April 30. Don't miss out. Click the ad in the left column of my blog and make your purchase today!